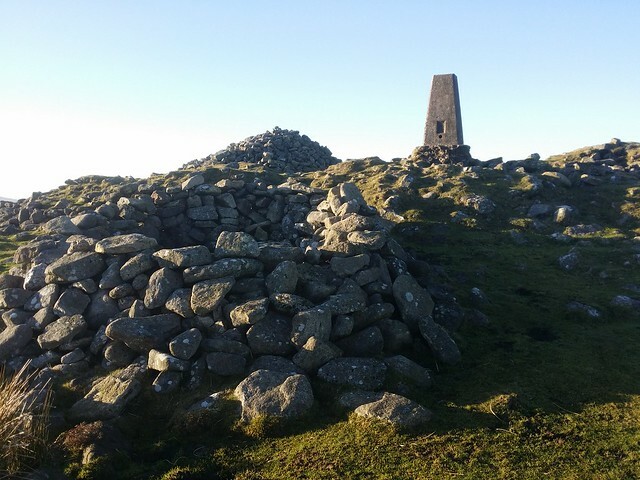 I've been out to Hangingstone Hill many times, but, it dawned on me that I had not visited the stone itself! 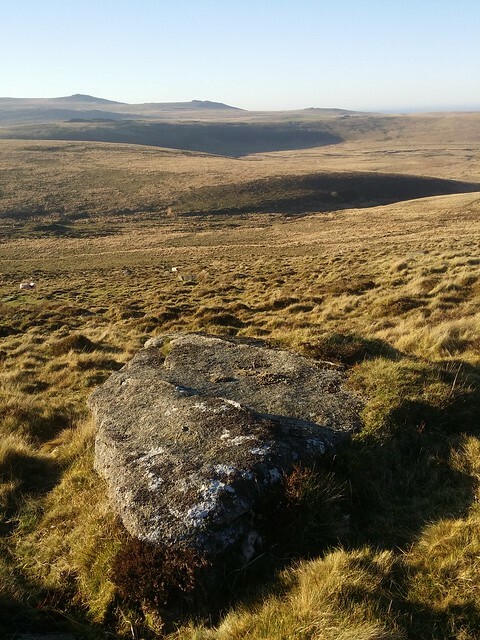 It would appear to be a long way to go to see a fairly unremarkable outcrop, but the route out from Belstone is one of the best circulars you could hope to do on Dartmoor. 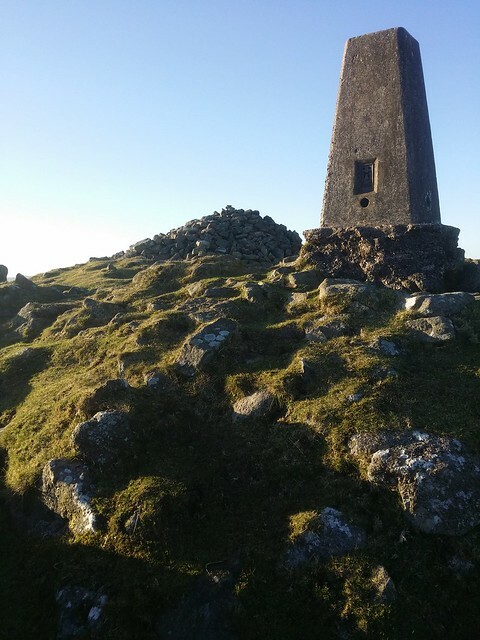 The weather was perfect, a couple of days after Christmas, for a long walk; blue skies, clear crisp views and a slight chill that encouraged you to keep on the move. Starting from the ample car park, just outside the village, I passed through the village out over Watchet Hill and on to the first of a long line of spectacular tors; Tors End. It's a rough route up to Belstone Tors and the common, with a variety of ways to negotiate the clitter. 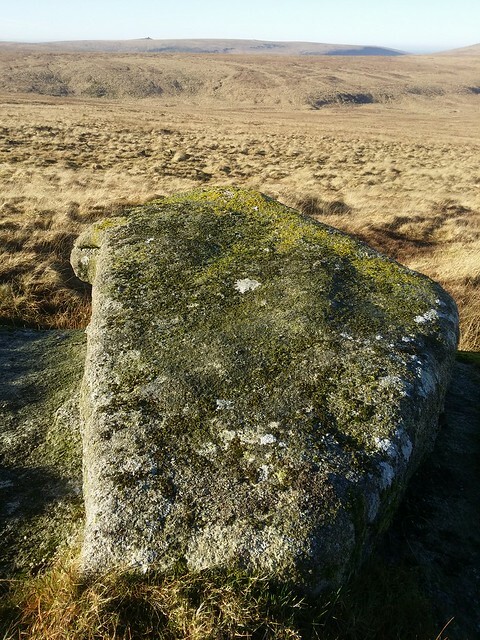 But once you are through Irishman's wall and passed the nearby logan stone on Belstone Common, the ground is much easier to the colossal Higher Tor and beyond. 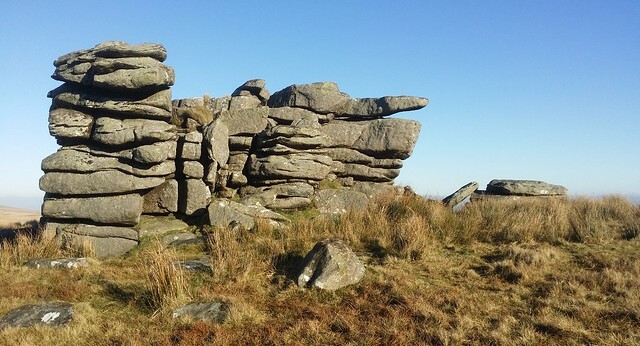 There is a slight saddle and cairn between Lower Tor and Knattabrorough Tor. 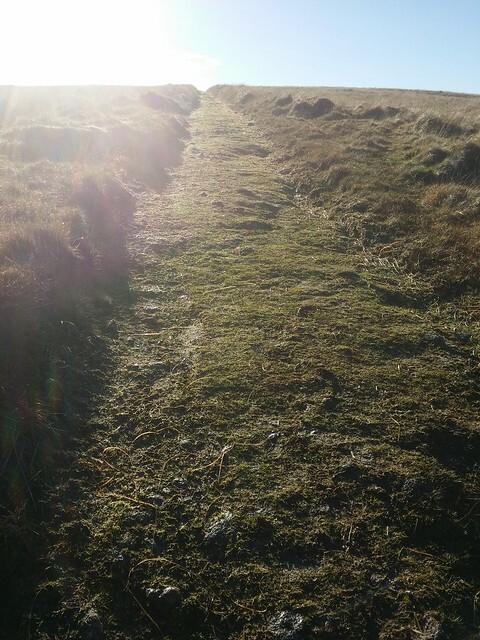 It is also where an old track climbs from the lower ground to the north west, following the ridge south. 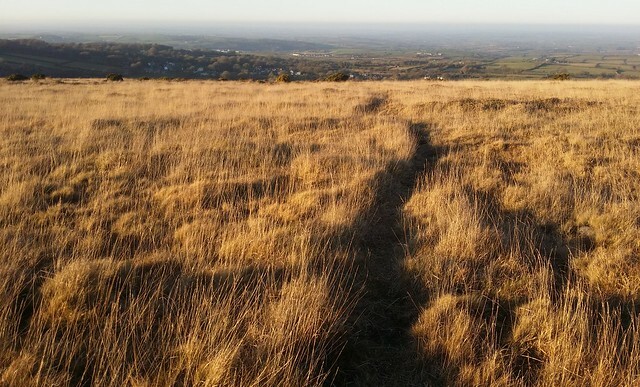 This track will take you to Hangingstone Hill. 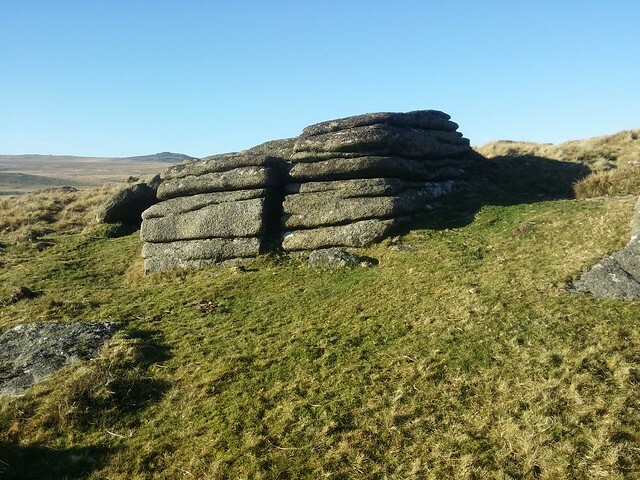 Having visited Oke Tor a couple of days ago, I carried on without stopping. The track passes high above Steeperton Gorge before dropping down to the ford beside the old Knack Tin Mine. Over Steeperton Brook, at the ford, the track continues south on a couple of kilometres of gentle ascent. The sun was straight into my eyes and I rued forgetting the sunglasses today. 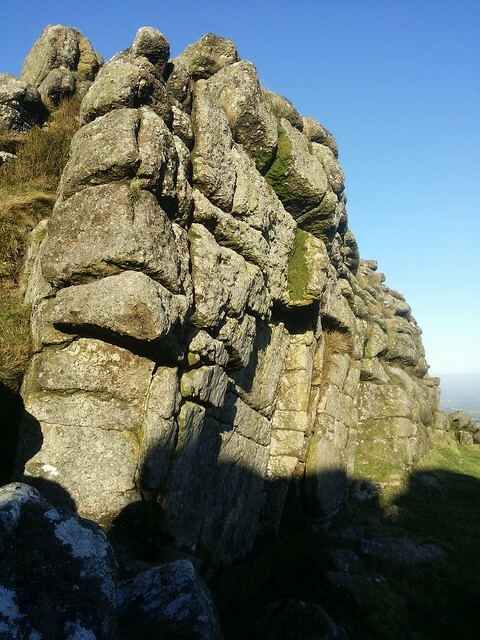 As I was approaching the foot of Hangingstone Hill, I was keeping an eye out for the outcrop, which lay just off the summit. 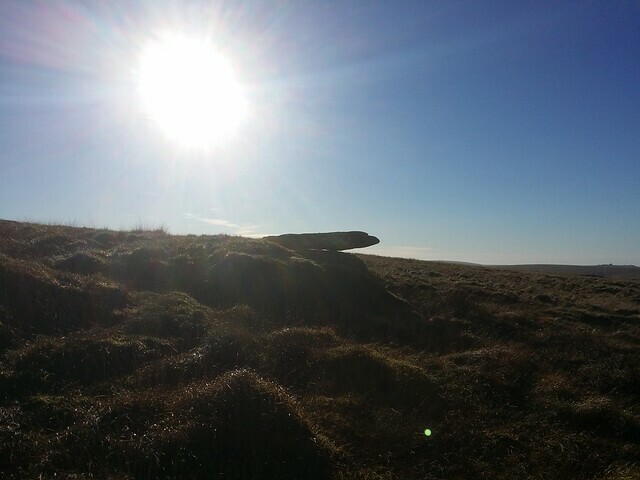 On a brilliant day like this, it wasn't difficult to spot the silhouette of the unmistakable "hanging" stone. So, to the name of the hill. 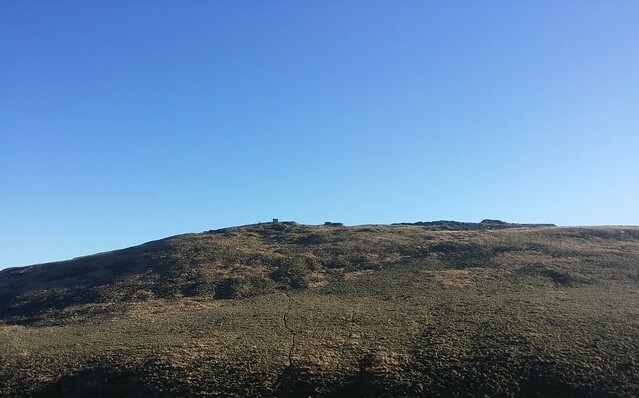 According to William Crossing, the hill it is perched on was known as Newtake Hill but explains; "This is sometimes called Hangingstone Hill, but that name is usually considered by the moormen to belong only to the N.W. side of it, where there is a small outlying pile of rock." 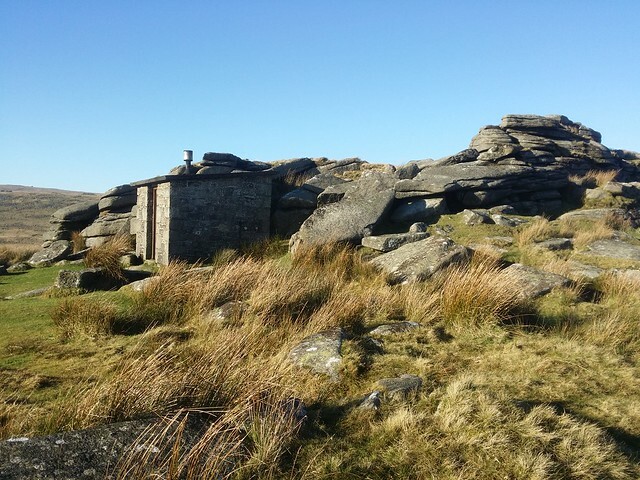 Crossings Guide to Dartmoor - page 238. 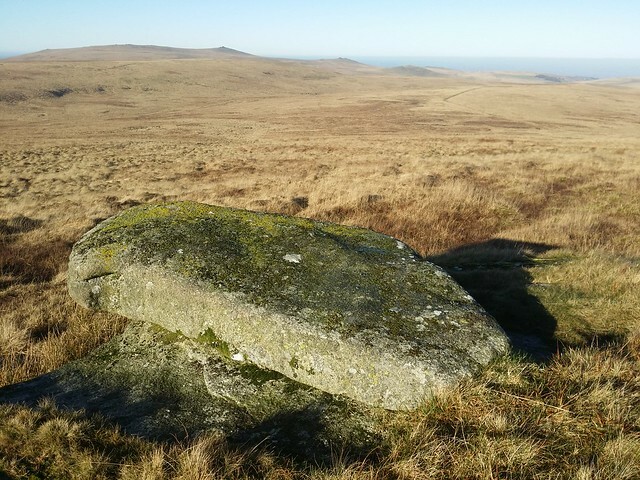 Like every one I have seen on Dartmoor, this is a logan stone that no longer rocks. 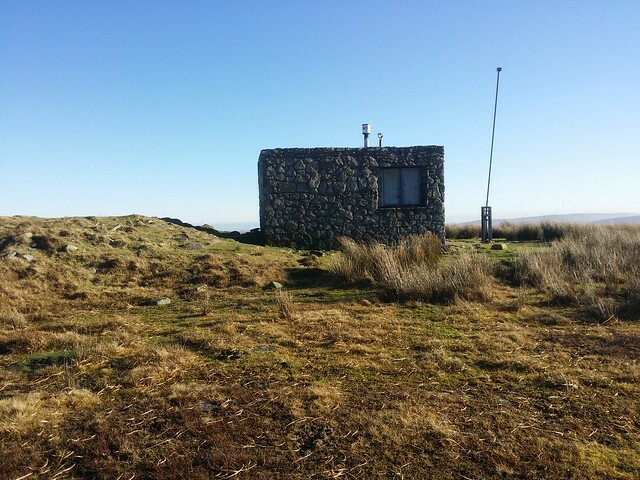 I continued to the top of the hill for a break at the large cairn that has been desecrated by the granite military hut beside it. After a bite to eat and some hot Ribena, it was time to make the trip back, along the eastern high ground. 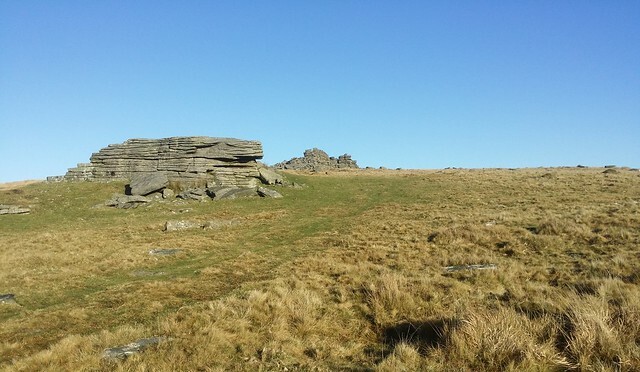 Once off the top, the path is obvious to Wild Tor. 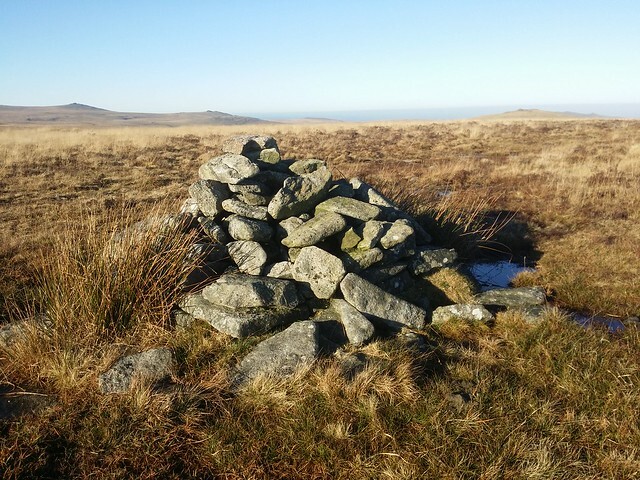 If doing this in inclement weather, a cairn marks a fork in the track, at SX 62221 87135. You should take the left path to the tor, unless you wish to head for Gallaven Mire. 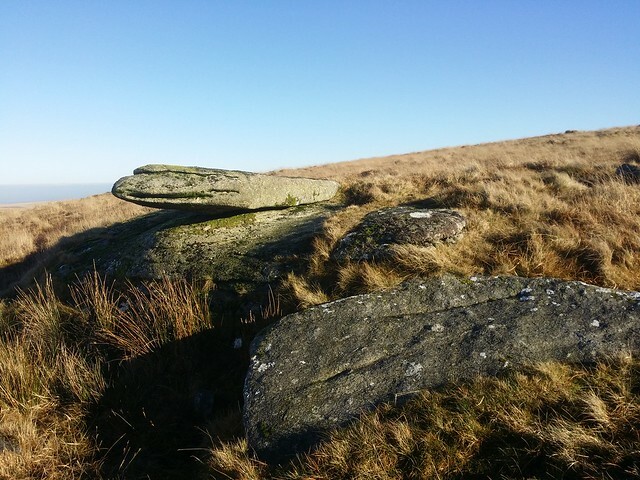 As a collection of outcrops, Wild Tor is spread quite far apart, and perhaps each should be individually named. The northern stack is the larger and more impressive of the group. 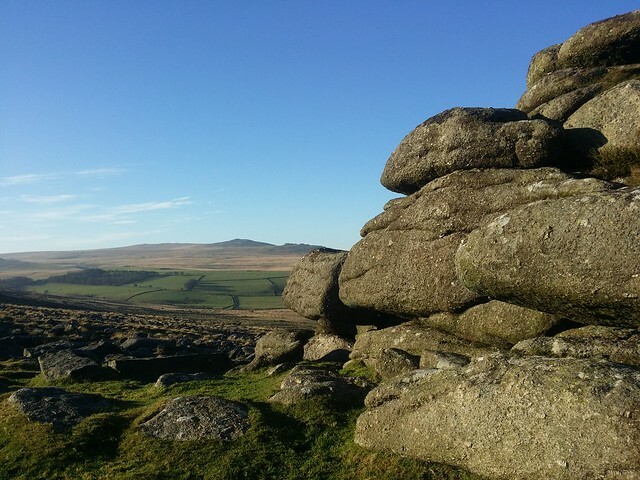 Approaching from the south, Hound Tor (Okehampton) appears to be just a mound. 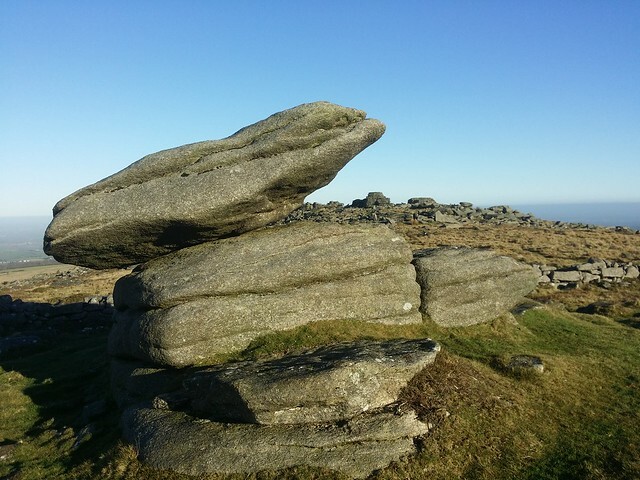 Once you are standing on it's grassy top, the granite is more obvious and has more height on its northern flank. It's a nice one to stop and have lunch on, with a great 360 degree view. 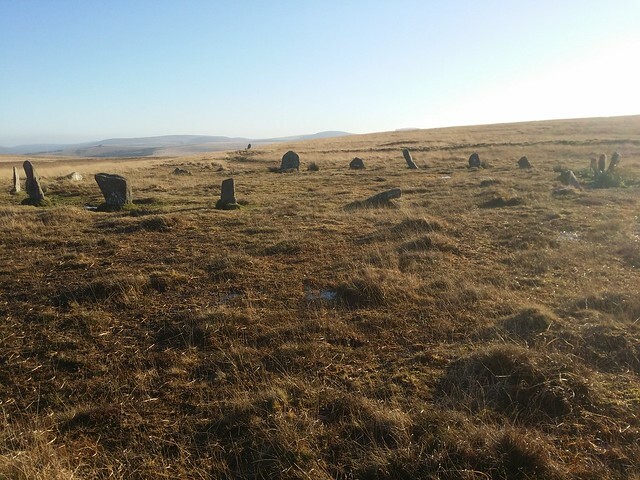 Onward to the White Moor Stone Circle. 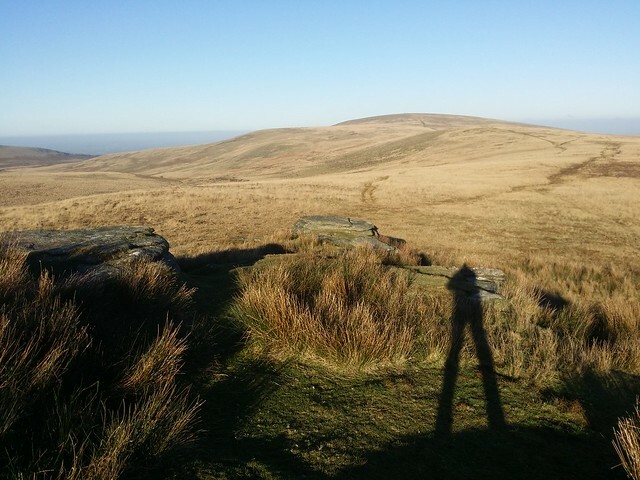 I met a fellow walker who was attempting, like me, to capture the scene and battling with the sun to do it justice. 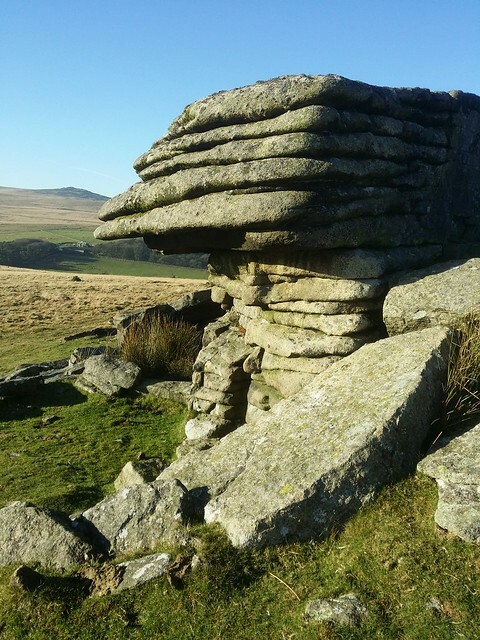 He questioned whether there was any ancient connection with the positioning of the White Moor Stone, which appears to line up with both Kestor Rock, and Haytor Rocks, in the distance. A nice thought, and a question we'll likely never get answered. 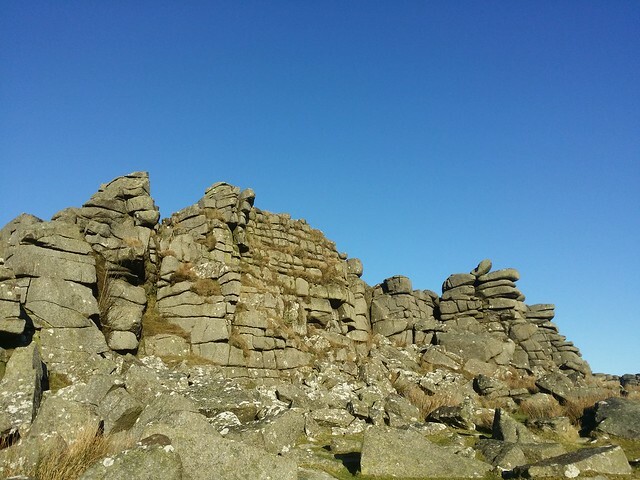 Just off the path to Cosdon, lay Little Hound Tor. 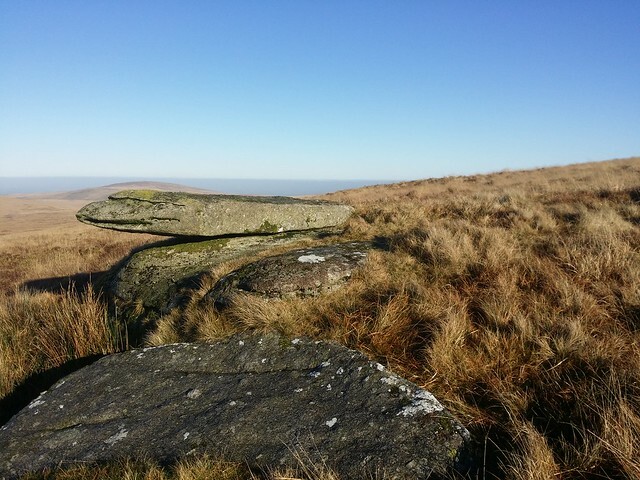 This low outcrop overlooks Metheral Hill, Small Brook and the remains of a Bronze Age village settlement known as White Hill. There are plenty of evidence of hut circles and enclosures down there, but I didn't have time for a diversion, with daylight soon to be a precious commodity. Up to my favourite hill, Cosdon. 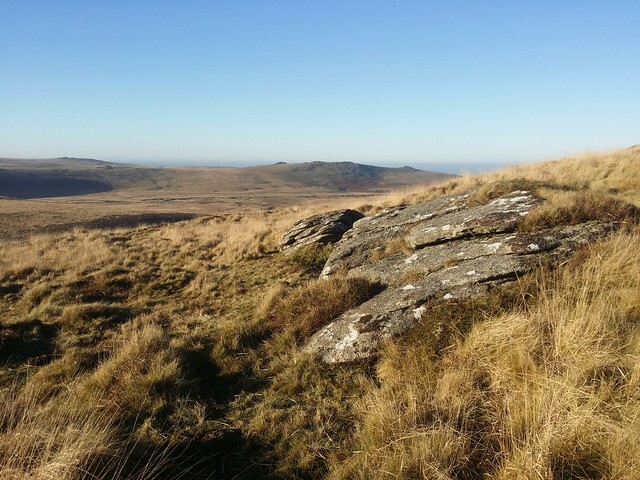 I do love the view, from the rocky cairns and trig point, of North Devon to Exmoor, although I notice that now the expansive vista is slightly blighted, by some wind turbines that I don't recall existing on my last visit. Taking the obvious route down, would take me north and lengthen my return to Belstone. I took a more direct approach, across the high grass. It meant a bit of meandering, but I soon had my eye in and pieced together a succession of animal tracks to better ground. To the west, I watched as the sun dropped below Belstone Common. The lack of cloud ensured there was still plenty of time and I was over the River Taw and back in Belstone well before the light disappeared. A great day, loved it.